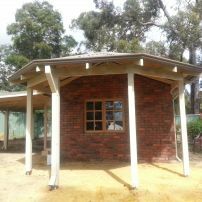 commented on "Half Octagonal Verandah"
This verandah is half octagonal shape and has been constructed using ACQ treated pine. 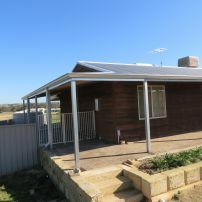 The existing house verandah has been extended to go around the corner. 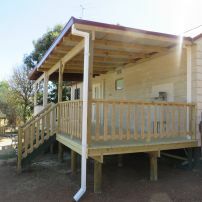 The verandah at the rear of the house has been extended to match the existing verandah. 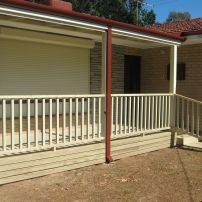 commented on "Verandah with Balustrade"